Tony Aguilar is the founder and principal of New Flavor Media, LLC. Aguilar is a marketing professional with expert knowledge of the entire advertising spectrum. From research to strategy, print, broadcast, websites and social media, it is all in a day’s work. Aguilar has worked in advertising in Los Angeles, New York City and with his own company New Flavor Media, in Providence, Rhode Island. He has successfully launched brands by utilizing all marketing media. He excels at creating memorable, results oriented, and award-winning advertising campaigns. As a publisher, Aguilar has edited, designed, produced, printed and distributed various magazines and books. He has collaborated on advertising brochures for Chrysler Corporation and Ikea USA in New York City. Locally, he has produced Destination Providence, Southern New England Woman Magazine and Tribe Magazine among other magazine titles. Aguilar is the publisher of Key to the Worlds, Embracing Differences, a bilingual children’s book (New Flavor Media Publishing) and is the editor for the book Out Of My Mind, a collection of sports cartoons and commentary by Larry Johnson (Touchmark Publishing). 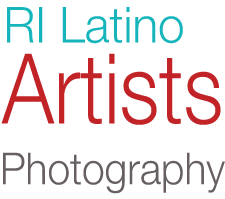 Within the arts community, Aguilar serves as the executive director of the Providence Latin American Film Festival. The film festival is a non-profit art and culture entity and this October it will celebrate its 23rd year in operation. Furthermore, he has volunteered with other non-profit art institutions around the state such as the Art Connection of Rhode Island, Manton Avenue Project, Providence Festival Ballet, and Rhode Island PBS. His photography and visual art strikes various themes of art, culture, travel, and lifestyle which may be used for advertising and other promotional purposes.